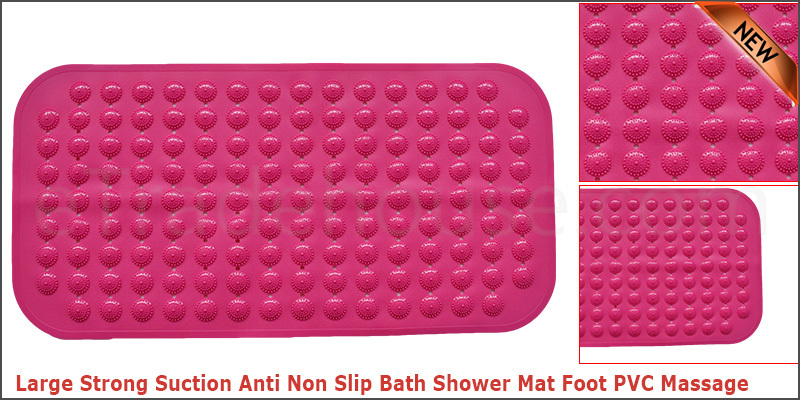 The Bath Mat provides a safety solution for in the bathtub. Bath mat provides plenty of comfort and support when you step out of or into the shower thanks to its foot massaging, cobblestone pebble rubber design. Relax with the comfort of the Small PVC Cobblestone Pebbles which will gently scrub and massage your weary feet.